Virtual Health Adventures – Virtual Ability, Inc. 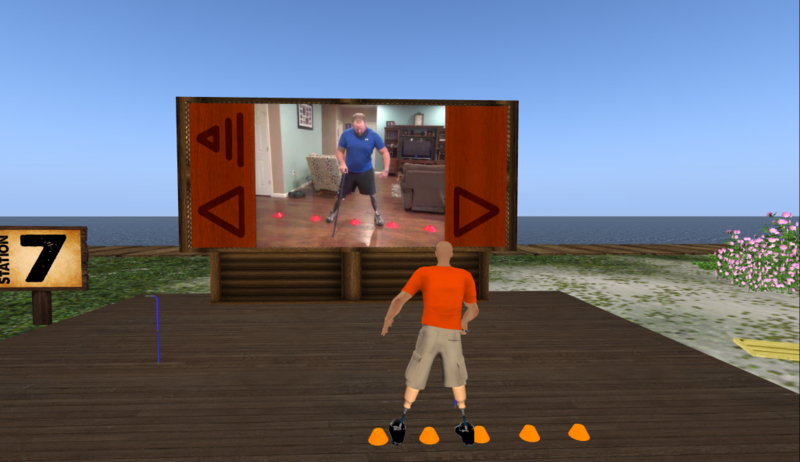 Virtual Health Adventures was a major project that applied amputee-rehabilitation lessons learned from the Iraq and Afghanistan conflicts to the mainstream amputee population. The project was originally lead by Nova Southeastern University, College of Health Care Sciences – Occupational Therapy and the College of Computer and Information Science, and funded by a grant from the United States Department of Health and Human Services, Agency for Healthcare Research and Quality. Later the grant moved to the HSR&D Center of Innovation on Disability and Rehabilitation Research (CINDRR) at James A Haley Veterans’ Hospital. The four-year Virtual Health Adventures project used the virtual world of Second Life® to provide evidence-based health information for individuals with upper and lower limb amputation(s), their families, and the clinicians who serve individuals with amputation. In addition, the project conducted a randomized clinical trial to evaluate the effectiveness of providing this information in a virtual world environment compared with providing it via a traditional e-learning online.